The hot gas refrigerant exits the compressor and enters the condenser heat exchanger where the heat is transferred to the pool water flowing on the other side. Having lost some heat to the water the hot gas reverts to a liquid state before exiting the condenser and entering a thermal expansion valve. The thermal expansion valve allows the refrigerant to expand decreasing its temperature and pressure before starting the cycle again. 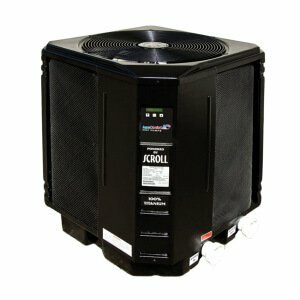 How Do Heat Pump Pool Heaters Work? Pool heaters transfer free heat from the ambient air to the pool water and run on electricity. 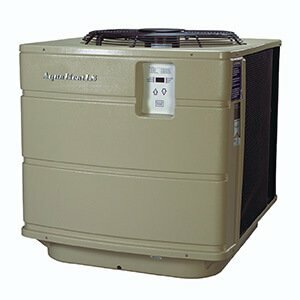 Heat pump pool heaters do not actually generate heat like natural gas or propane heaters do making them more efficient. 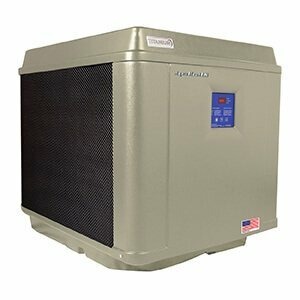 Heat pump pool heaters work in the same way your home’s air conditioner does and utilizes much of the same technology. Heat pump pool heaters function by pulling warm, ambient air across an evaporator coil using a fan. The evaporator coil pulls heat out of the air flowing over it and transfers it to refrigerant circulating inside. The heated refrigerant changes from a liquid to a gas when heated and is then fed into a compressor where the pressure and temperature of the gas are increased. The hot refrigerant gas leaves the compressor and enters the heat exchanger (condenser) where the heat is transferred to the pool water circulating on the other side of the condenser. After leaving the heat exchanger the refrigerant gas has cooled and returned to a liquid state before entering a thermal expansion valve where the pressure and temperature of the refrigerant are decreased. At this point, the cycle starts again and will continue until the pool reaches the desired temperature. 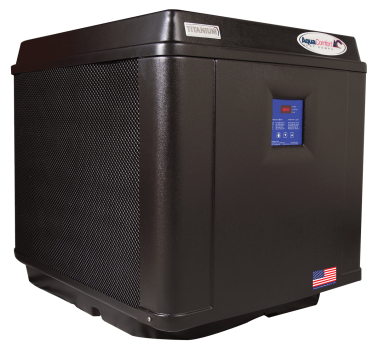 AquaComfort Solutions’ heat pump pool heaters utilize highly efficient scroll compressors and are controlled via integrated electronic controllers. The condenser heat exchanger is made of rifled titanium, as opposed to cupronickel, to be able to handle corrosion from chlorinated pool water. Heat pump pool heaters function differently depending on the temperature and humidity of the air they are pulling heat from. The higher the air temperature and humidity the less energy they will consume to heat the pool. However, they can function in conditions as low as 40° F. If they are coupled with a solar pool heating system performance and energy savings will be amplified even further. 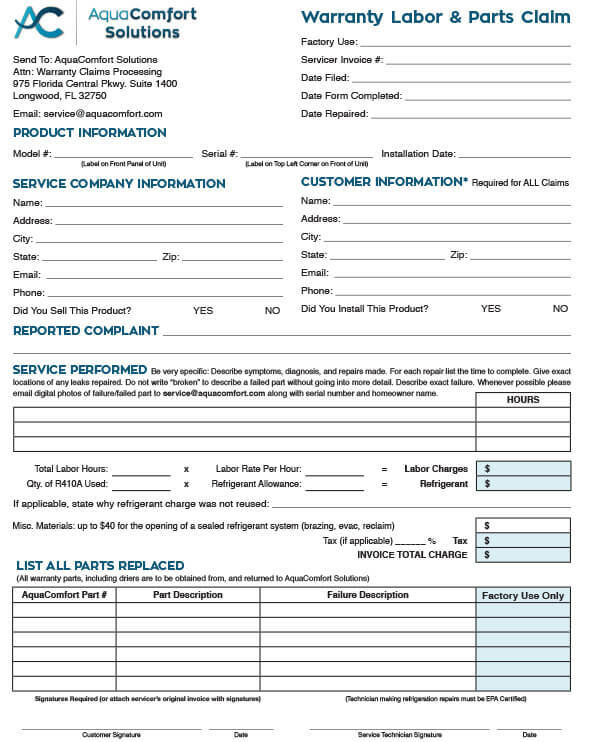 Though they are more expensive, heat pump pool heaters will cost less to use in the long run than natural gas or propane pool heaters.